The late key witness in the Odebrecht scandal told the country’s industry watchdog that he hoped the chief prosecutor would be called to trial for corruption. Jorge Enrique Pizano, the former auditor of the “Ruta del Sol II” project who blew the whistle on the Brazilians’ bribery practices, told investigators in August that “I hope they call [Prosecutor General] Nestor Humberto Martinez to the stand,” Noticias Caracol revealed on Sunday. Pizano died earlier this month after which media began revealing conversations that proved Martinez knew about the Brazilians’ bribery practices a year before taking office in 2016. 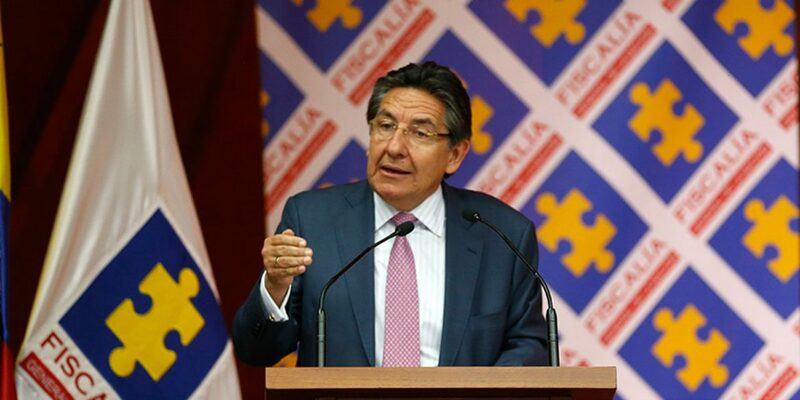 Despite calls to separate the disgraced Prosecutor General and his office from the Odebrecht investigation, prosecution officials seized Pizano’s computers that contain the incriminating evidence over the weekend, according to Noticias Uno. At the time of the 2015 recordings, Martinez was the judicial adviser of Colombia’s richest man, Luis Carlos Sarmiento, whose Grupo Aval had partnered with Odebrecht to execute the Ruta del Sol project. Pizano, who audited the project and was the key witness in the bribery case, last talked to investigators of the Superintendency for Industry and Trade (SIC) in August, in which he decried Martinez’ alleged attempts to cover up the corruption. Less than three months later the official died after not just trying to combat corruption, but also cancer. I tried to prevent irregularities in the processes. I was this close to have the contractor locked up. For God’s sake, I can’t stand this any longer. This is unbelievable. US ambassador Kevin Whitaker, whose government has reopened investigations against Odebrecht, requested Colombia’s prison authority INPEC to provide “special protection” to Luis Fernando Andrade, another key witness who was locked up by Martinez over his alleged role in the bribery practices of the Brazilians. Pizano told investigators he suspected the Prosecutor General’s Office was conspiring against him and Andrade to prevent them from revealing the extent of the corruption. There is a persecution on the part of the prosecution. What is happening to Andrade is going to happen to me. It is of special interest to us that his case proceeds with agility, the appropriate handling of evidence and under the principles of the Rule of Law. While the US Justice Department reopened the case, this time including Martinez’ alleged involvement in trying to cover up the scandal, Colombia’s Congress called the chief prosecutor to appear on Tuesday. An opposition representative already called on the the House’ Accusations Committee to reopen a criminal investigation against the chief prosecutor, who on multiple occasions has said he will not resign and claims he is the victim of a conspiracy himself. President Ivan Duque, who reportedly met with Odebrecht’s now-jailed director in Brazil while the company was conducting its bribery practices in Colombia, has defended Martinez. The president even praised Martinez for formally removing himself from the case that implicated both the chief prosecutor and the president in an interview with his brother-in-law, journalist Nestor Morales, on Blu Radio last week.